We are the #1 Online Store for High Quality / Low Cost Bath Tub Lift Chairs – and offer 6 of the Best Bathlifts to choose from! We offer the best bath lifts on the market at the best price, Guaranteed! We have done extensive research to bring you the absolute six best bath lifts each in their own respective categories. Our standard bath lifts feature the Peter Pan as good, the Deltis Premier Bath lift as better, and topping of with the best we feature our Bellavita Bath Lift. Do you have a bathtub that is deeper? Maybe you need more weight capacity? 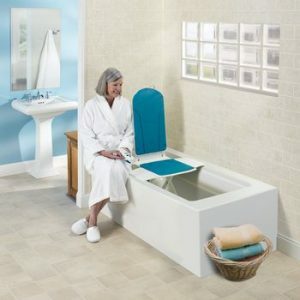 The following lifts solve both those issues: We have the Aqua Joy bath lifter by Drive as good, the Bathmaster Sonaris 2 bath lift from Performance Health as better, and we finish off the bathlifts with our Deeper bath chair otherwise known as the IPB-200 from Innovative Products Unlimited. Give us a call with any questions, we are ready to help find the perfect auto bath chair for you! Use our Free Coupons on Each Bath Lift to SAVE MONEY. Questions? Call 800-514-5774 – We are always happy to help! Order your Bath lift as a BUNDLE and save! Read the customer review below about how we provide high quality bath lifts that are dependable at prices that are affordable and unbeatable! Thank you!!!. I received my bath lift used it last night and love it. For those who like to be as low in the water as possible. I found a way to get low. Go all the way down and then lift up on the lift from bottom just a tad and slide the lift forward. It allows you to stretch out without seat. Of course your feet are rested on the seat which is nice. Then when you have finished bath, lift up on seat and scoot it underneath your buttock. It is very easy to do. I go down with back on and take off after reaching bottom. Love my lift. I feel clean and relaxed again. These different models have some similarities. They are held in place with suction cups. Assembly and installation are completed in less than 10 minutes. No tools are required. 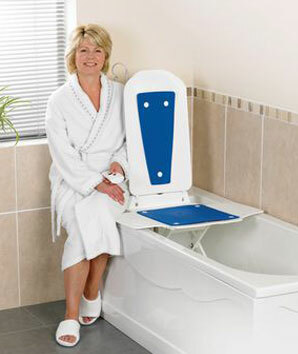 All of our bath lifts are powered by rechargable battery packs located in the hand controls. To ensure safety, the hand controls are disconnected from the lifts while they are charging. The battery pack is typically recharged overnight, once a week. As an additional safety nfeature, if the pack does not have enough power to raise the bather up, it will not allow descent. Once the bather is seated on the tub lift, push the down button. As the lift lowers, the side flaps automatically fold up. When the lift is in the down position, push a button and the back will recline. If you would rather sit up, just don’t recline the back. We get calls everyday asking “Will Medicare pay for a bath tub lift?” Unfortunately, Medicare will not cover this expense. Occasionally it will be covered by private insurance but most of these companies will make a person wait for months before they approve the purchase. 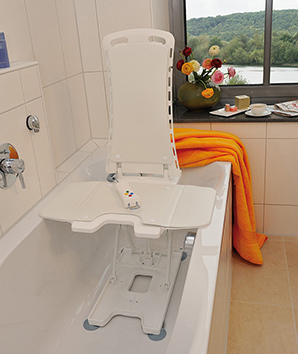 A bath lift for the elderly makes a great gift! Hard to find a good gift for Mom or Dad? They love soaking in the tub. Hip surgery or knee surgery make it hard to get out of the bath tub? A bathtub lift will make it easy to use the tub again. 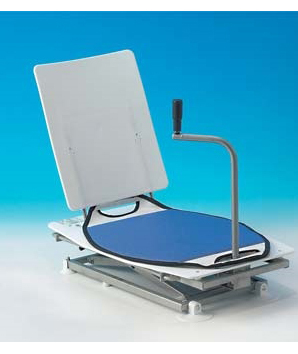 If you are in the process of selcting a bath lift, you want to make sure it will fit your needs. A few questions will help you determine the right lift. How deep is your bath tub? Measure the inside depth. When the lift is in the top position, a side flap should be supported by the side of the tub. Going higher than the side of the tub may cause instability. How wide is your tub? Measure the inside width at the top. When the side flaps are extended, they should cross over aand be supported by the side where you enter the tub. How long is your tub? Measure the inside length at the bottom and the top of the tub. The further back you place the seat, the more leg room you will have. What does the bather weigh? All of our bath lifts will accomodate 285 lbs. Some have capacities up to 350Lbs. Will the user need a transfer device to get to the middle of the bathtub lift seat? Our Swivel and Slide Transfer Device can be added to any of our bath lifts, just check for the “Options” link on the product page. We have been selling safe bathing products since 2004. We decided years ago to not sell walk in bath tubs for several reasons. If you really need a walk in tub we can refer you to a reputable dealer.